Food can fill our stomachs. It cannot fill our souls. 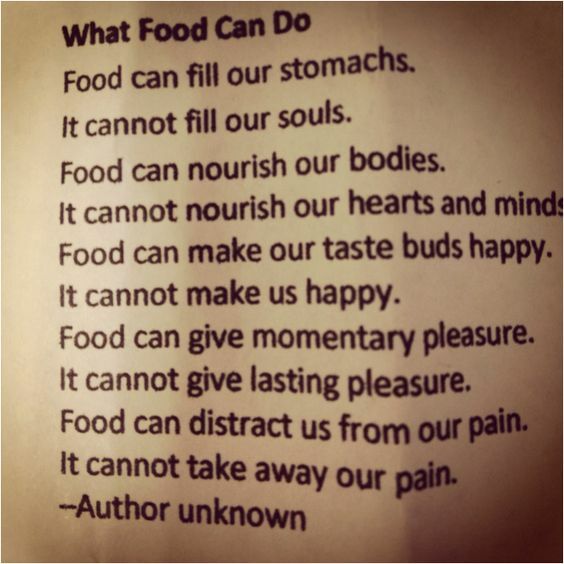 Food can nourish our bodies. It cannot nourish our hearts and minds. Food can make our taste buds happy. It cannot make us happy. Food can give momentary pleasure. It cannot give lasting pleasure. 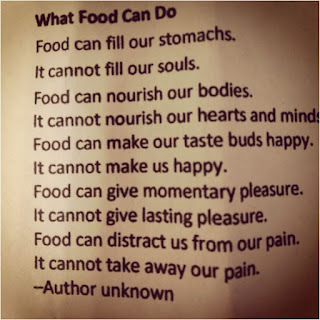 Food can distract us from our pain. It cannot take away our pain.